In the last two to three years I’ve witnessed a growing interest in recycling, predominantly in relation to the plastics debate, as there is increasing public awareness of the unacceptable and unsustainable effects of (plastic) waste getting into the ocean. Even though Tetra Pak packages are made mainly from paperboard (about 75%), we are part of this conversation because we use plastic for openings, closures and some of the barrier layers. Earlier this year we made a pledge to support the EU’s new Plastic Strategy, which increases our focus on the importance of using renewable material, the use of recycled material and of course recycling itself. 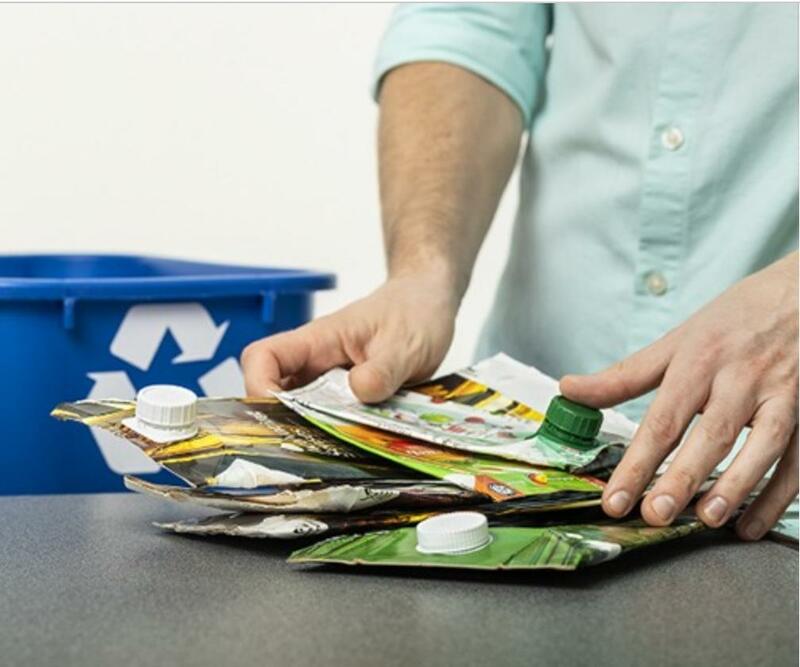 Our work in promoting and facilitating recycling spans the entire recycling value chain, from consumer awareness, collection and sorting to recycling and then to market, which is vital because if one element isn’t working, it adversely impacts everything else. As a global packaging company recycling is important to us because we want our packages to fulfil their full purpose. By this I mean that once the package has delivered on its primary purpose (housing the product safely for the customer), its materials are collected and recycled into something useful, rather than being wasted. It’s always tempting to try and find the ‘silver bullet’, but it doesn’t exist. There is no one-size-fits all for recycling globally – rather it’s a lot of collaboration between different actors across the value chain, from businesses to local authorities. Tetra Pak has been a pioneer in working to expand recycling of beverage carton packaging around the world. Other industry initiatives indicate that they’re at the point we were at ten years ago. Every market is unique when it comes to recycling. To ensure we focus on the most impactful actions in each market, we analyse the local value chain to find bottlenecks we can help unblock. Currently, we’re driving local recycling initiatives in more than 70 countries. For example, in Saudi Arabia a Tetra Pak co-investment in recycling capacity will lead to the first major recycling operation of beverage cartons starting later this year. It hasn’t been easy but looking back I see the great progress that has been made. Our efforts have contributed to making the total recycling of beverage cartons now equal to 40% of Tetra Pak cartons being sold.Among other things this was achieved by investing £17m in recycling infrastructure in the last five years or so, including all brands of beverage cartons in our collection and recycling work and collaborating with an increasing number of companies recycling beverage cartons. While we have been seeing a huge increase of interest in recycling from our external stakeholders, among other things, driven by increased concerns from consumers there are two bottlenecks we face in enabling higher recycling rates. First, the lack of efficient collection systems. Second, consumer awareness, both regarding the positive impact of recycling, as well as the myth that beverage cartons are not recyclable or a problem to recycle. All Tetra Pak cartons are recyclable and it’s worth the effort to recycle them. The raw materials used to make a beverage carton can be used in a wide range of new products, from toilet paper to roof tiles. The paper fibres used to produce beverage cartons are also long and strong, which means they are an especially valuable fibre source to recycle. These fibres can be recycled several times. Besides saving natural resources, recycling helps reduce carbon footprint as the extraction of new raw materials (to produce plastic and aluminium) is more energy intensive than reusing the materials we already have. From a life cycle perspective, every kilo of used beverage carton that is recycled saves half a kilo of CO2 equivalent emissions. We encourage recycling, but where this isn’t possible, we seek to extract heat, electricity or fuel from our packages. Energy recovery is a much better waste management alternative to landfill, as the value of raw material is then lost. Today, approximately 11% of Tetra Pak packages sold worldwide undergoes this process of energy recovery. Turning waste into a new resource is key to a true circular economy. As a business we believe that circular economy policies should be looking at all resources, not just at secondary materials from recycling. This is truly a complex journey that will give rise to innovations to solve collection, sorting and higher rates of recycling – I look forward to seeing them soon. Lisa Ryden is Recycling Director for Tetra Pak. She has background in engineering and worked in product development before her current role as Recycling Director at Tetra Pak. She believes it was a bit of timing, opportunity and curiosity that led her to work in recycling. The value of nature is very close to her heart and being able to work in an area that contributes to protecting this makes her passionate about her job.